Another important part of a medical practice breakup is of course patients and patient records. 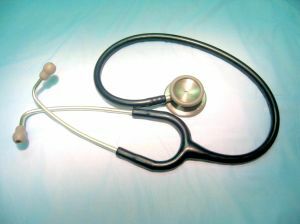 While a patient ultimately decides who he/she will see for medical care, the “ownership” of that patient relationship, the patient’s medical records, and how medical practices should communicate with the patient following a practice break up are rich with practical and legal difficulties. For example, a practice’s electronic health records software may not be able to separate patient records by individual physicians. In such a case, physicians may have to receive a copy of all the practice’s patient information in order to retrieve their own group’s data. Any movement or changed access to protected health information triggers important considerations and significant risks under HIPAA. The dissolution of a medical practice should be accomplished with an agreement that will is clear and specific about what information and records can be used by any physicians and should include appropriate confidentiality provisions. Unfortunately, ending a medical business relationship is never as simple as just walking out the door. But there is a correct way to do it, to minimize risks and protect patients. Our business and healthcare law firm represents healthcare providers and professionals in Georgia and South Carolina with regard to business dissolution. Contact us at (404) 685-1662 (Atlanta), (706) 722-7886 (Augusta), or info@ksllawfirm.com to schedule a consultation today.